Alloy Wheel Refurbishment: Advances in alloy wheel refurbishment technologies make it possible for bolted wheels and split rim wheels to undergo previously restricted repair services. Because these more car owners have employed routine refurbishment services to improve the condition and value of their mobile alloy wheels. Advances in color-coding have also allowed repair specialists to improve the condition and value of alloy wheels. 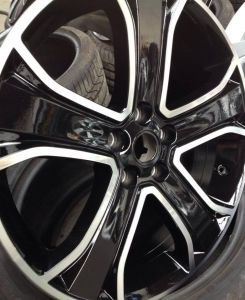 Color-coding is the process that matches mobile alloy wheels to the vehicle paintwork. Using an advanced refurbishment system, repair specialists are able to offer unique color-coding options. (If a car owner does not want to use the original framework color, most repair specialists will use a design work or pattern chosen by the car owner). New advances in alloy wheel refurbishment technologies have made it possible for alloy repair specialists to service split rim wheels, alloy wheel bolts, and studs Wicked Wheels, the largest alloy vehicle refurbishment company in England, offers a No Fix, No Fee policy on all mobile alloy wheel refurbishment, repair and reconditioning services. From split rim wheel repairs to color-coding services, Wicked Wheels work to improve the look and quality of the vehicles they service. Using a series of advanced mobile alloy wheel refurbishment technologies, Wicked Wheels can repair most bolted wheels and split rim wheels. Wicked Wheels also stock and supply replacement split rim outer rims, stainless steel wheel trims, titanium and alloy wheel bolts and studs and rim screws.